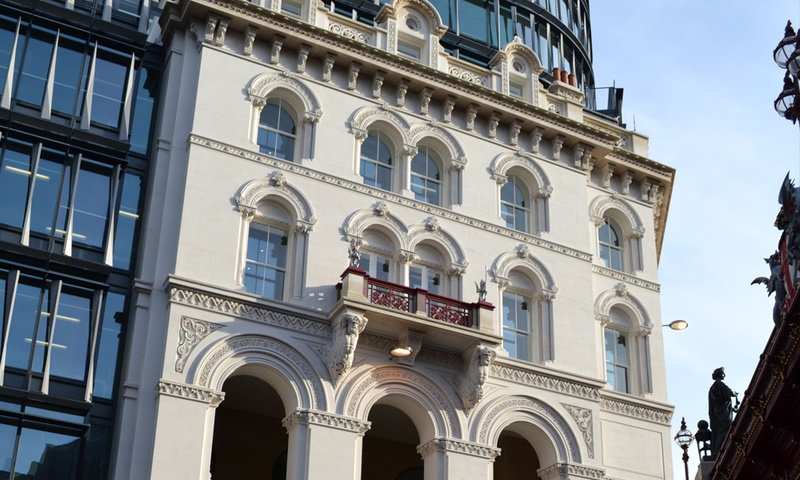 Sixty London is located next to the Holborn Viaduct, and previously occupied by Bath House. 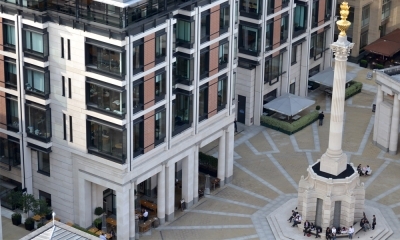 Worked in Perryfield whitbed from our stone range, the project showcases Portland Stone Firms manufacturing capability and masonry to the highest standard. 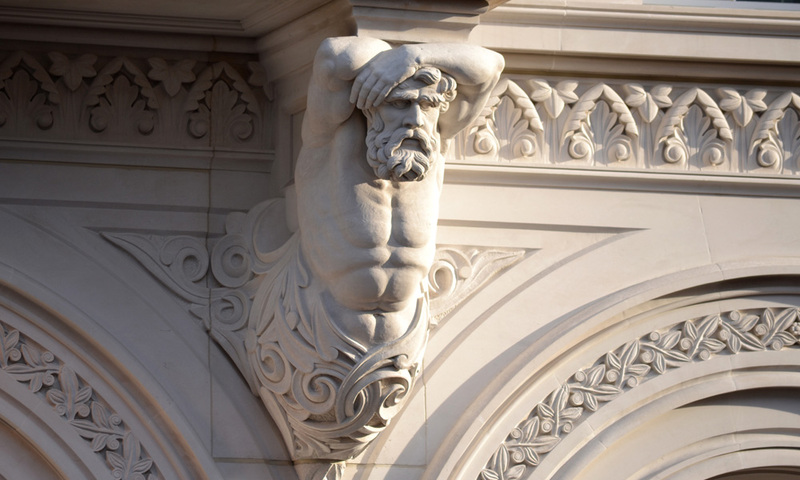 The project consisted of 5,000 hours of carving, on top of extensive masonry and machining work. 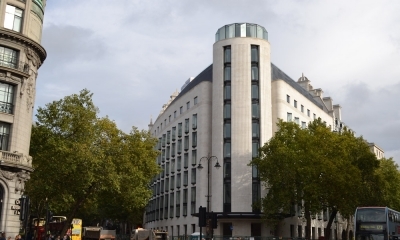 Arduous quality approval systems ensured this iconic building met specifications. 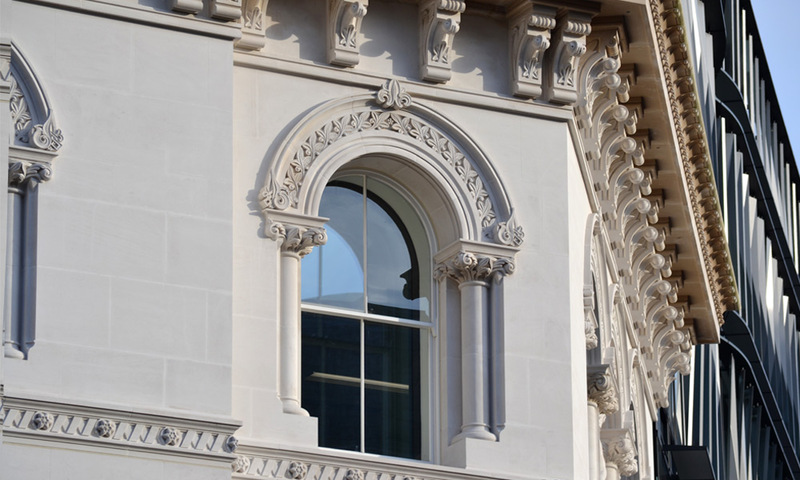 Initial consultation led to a comprehensive tour for all parties to ensure the most suitable stone was used. 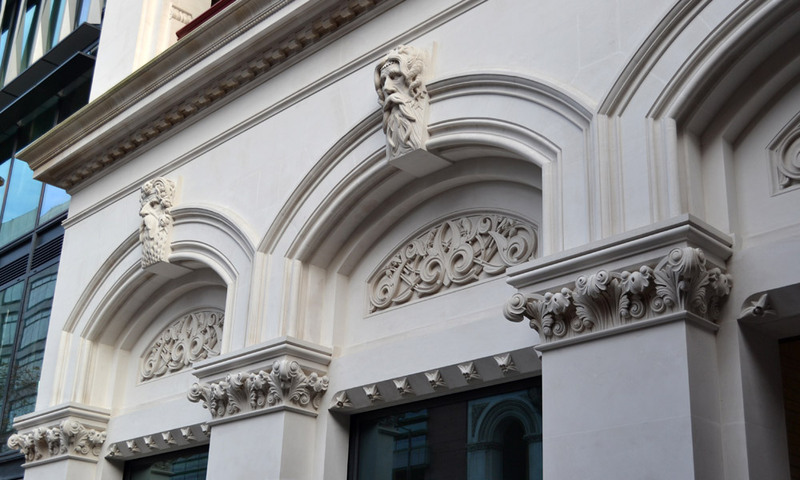 Winner of the ‘Craftsmanship’ and ‘New Build Traditional Style Stone Masonry’ Awards in the Natural Stone Awards 2014, and the ‘City Heritage Award’ in 2014 from the City of London. Our highly skilled team were delighted to have worked on an exceptional architectural project that showcases our renowned manufacturing capabilities. 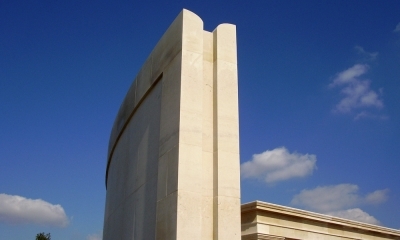 Portland Stone Firms supplied finished masonry for the North East Gatehouse. 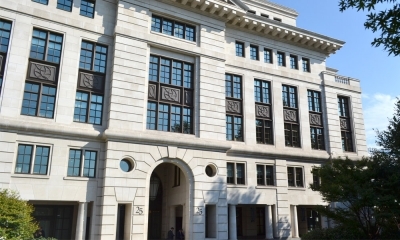 This was to re-establish the original symmetry of the four buildings, as one was destroyed during World War 2 with planners keen to complete the original street scene. 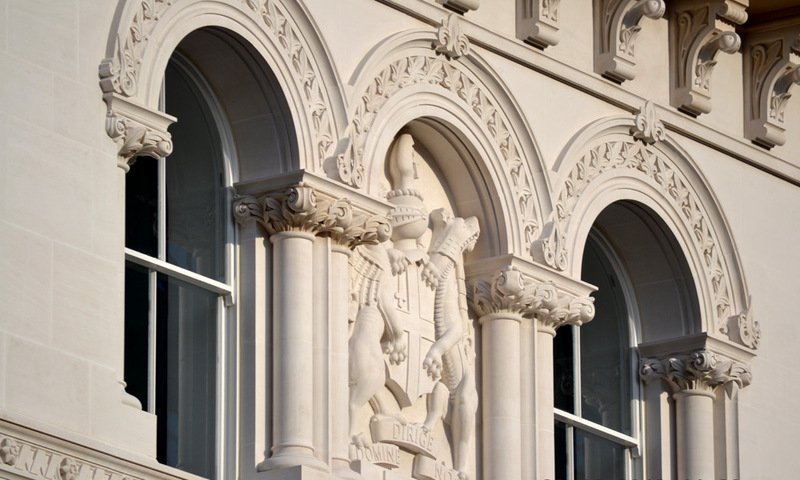 Stone selection: Perryfield whitbed – chosen for its exceptional carving properties and durability. The judges commented that “The scheme was honoured for the high standard of their craftsmanship and finish…the level of detailing is exemplary”.